Benefit 1: Grades need to measure the mastery of content, not work habits. Standards-Based grades do just that, measure proficiency. Sometimes, students who can easily master the standards end up getting lower grades if they do not complete homework and other assignments, or if their behavior is less than desirable. On the other hand, students who have good work habits but may not have mastered all of the standards in a course, end up getting better grades. In Patricia Scriffiny’s article in Educational Leadership: Expecting Excellence, she states, “The crucial idea is to use a system that is not based on the inappropriate use of averages. The system must not allow students to mask their level of understanding with their attendance, their level of effort, or other peripheral issues.” In this sense, letter grades do not always measure students’ knowledge of the content, but whether or not they have good work habits. Standards-Based grading is a fair way to show mastery of a subject. Some people might be thinking, well shouldn’t hard work be rewarded? I agree. I do think good work habits are important to teach and instill in students, but they still don’t measure what the student knows. Work habits should be measured and included in a grade report but should be kept separate from the learning objectives. Standards-Based grading is essential in schools with a growth mindset. The idea is that students can work towards mastery on each of the standards until they are proficient. They would have multiple opportunities to demonstrate their proficiency for a standard and will move forward once they are ready to do so. It lends itself to individualized learning, where students work on mastering the standards they need to. SB grading requires teachers to know their content standards and to know them well. In many cases, this means that teachers will have to rework their curriculum and assessments so that everything is clearly aligned with a standard. This will take time, discussion, and guidance. According to Scriffiny, you can’t use standards-based grading without clear standards. It just can’t happen. Clearly, there are a lot of benefits to Standards-Based Grading. I also think it’s a change that will take time, discussion, and guidance and should not happen overnight. 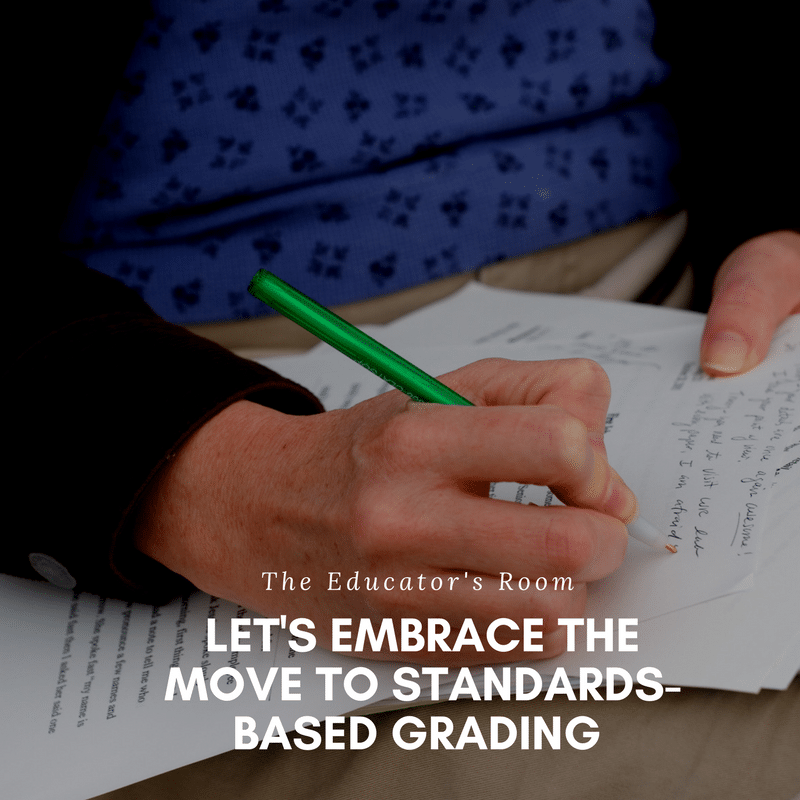 But after doing a little research I can say that I am all for the change and look forward to embracing standards-based grading. Scriffiny, Patricia L. “Seven Reasons for Standards-Based Grading.” Educational Leadership Expecting Excellence 66.2 (2008): 70-74. Educational Leadership:Expecting Excellence:Seven Reasons for Standards-Based Grading. Association for Supervision and Curriculum Development. Web. 06 June 2017. Thanks for your thoughtful ideas – I wonder if standards-based grading would also force educators to think harder about the WHY of assignments…that would be a great thing! In what world do you teach? In my Title 1, transient district that is growing increasingly more violent, you want the teachers just to re-work everything and be happy about it? We have 175 in a day and you believe we can absorb a larger work load?Don’t come at me with the “fixed mindset” bs either. This is not sustainable and furthermore, it’s pointless, especially as long as standardized tests are the norm.